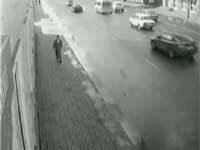 Fast reacting pedestrian dodges a car heading his way. Submitted by monkey on Wed, 05/26/2010 - 2:50am. 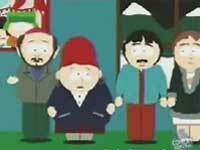 South Park reacts when Barack Obama wins the presidency. Submitted by monkey on Sat, 11/08/2008 - 2:48pm. 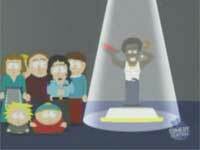 Kyle has a horrible dream about the new Indian Jones movie. Submitted by monkey on Thu, 10/09/2008 - 8:01pm. 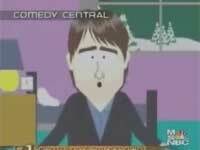 Tom Cruise and Scientology being made fun of on South Park. Only aired the episode once. Submitted by monkey on Wed, 01/30/2008 - 1:45am. 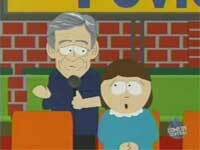 "Back Door Sluts 9 makes Crotch Capers 3 look like Naughty Nurses 2!" Submitted by monkey on Tue, 07/31/2007 - 2:33am. 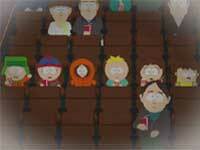 Cartman gets a look into the future. Submitted by monkey on Tue, 07/17/2007 - 7:00am. 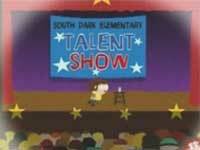 Jimmy cant even control himself during a school talent show. Submitted by monkey on Wed, 06/20/2007 - 6:00am. 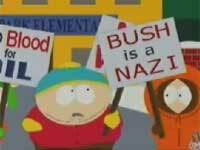 The South Park kids protest against the war in Iraq to get out of class. Submitted by monkey on Tue, 06/19/2007 - 12:00pm. 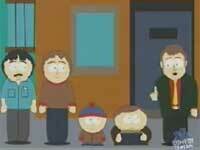 Cartman goes on Maury because hes been very bad but doesn't care. Submitted by monkey on Mon, 06/04/2007 - 5:00am. Wax figures represent how some intolerant people have labled minorities in the world. Submitted by monkey on Thu, 05/17/2007 - 2:00pm.